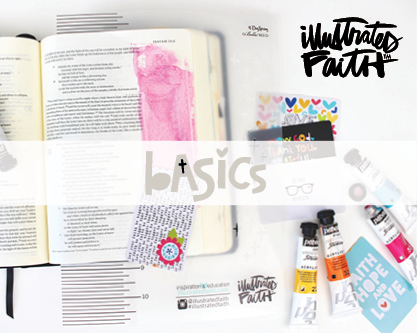 We’ve pulled all our Illustrated Faith essentials together into one giant collection we call Basics! You’ll find everything from must-have tools, to beautiful papers, stickers and three-dimensional embellishments. 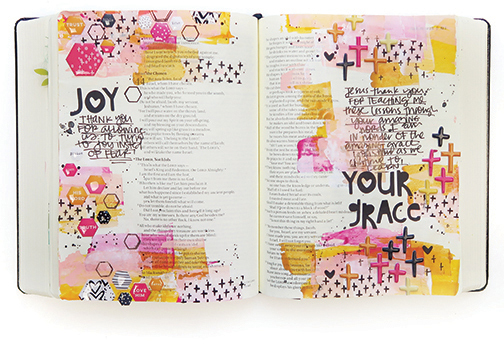 Each item is created with versatility and scale in mind, making your crafting options within the two-inch margins of a Journaling Bible limitless!